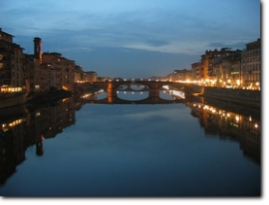 One of our goals is to interprete the authentic journeys of the spirit throughout a pilgrimage to Italy. We know to live in a country where the Religious customs are still quite strong being a country where more than anywhere else the Roman Catholicism spread out. If the Pilgrimages always existed, we would like to be a useful travel resource to be in touch with the group of pilgrims who wish to be guided step-by-step in a religious tour during an Italy pilgrimage. Our Catholic faith, education and instruction always helped us in customizing for the visitors coming mainly for a reason of Faith or who are looking for a pilgrimage travel through the most significant sites for Christianity in Italy. We are ready to share our travel experience, database, knowledge and most important, our passion for a religious holiday with the pilgrims who are planning a 2016 Pilgrimage. 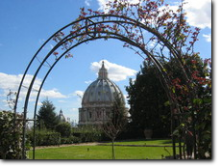 Rome Travels proposes samples of religious travel in the main pilgrimage sites, the Catholic monasteries, or Sanctuaries or providing pilgrimage tours for those who are looking for the principal Italy Saints buried all over Italy. The possibilities of arranging a pilgrimage tour are endless, it depends also on the location you want to stay and how many days you have a disposal for your religious holidays. Should you be uncertain about, we will help you in finding not only the hotel but also any good religious accommodation nearby the pilgrimage route you want to visit. Last: we consider a Catholic Pilgrimage as a lifetime experience. We know that for somebody Italy is not properly around the corner...and so some will not have often the chance to go back and forth to our home country. Therefore, this will be one more reason to entirely dedicate ourselves to plan a veritable religious holiday. This is our promise, that is your deal. Do you want one of " Most Popular Pilgrimage Itineraries " listed on our web site? Do you want other customized tours or Pilgrimages not shown here? We are used to customizing. Just click here and send us an e-mail, or call us at + (201) 204 - 9020 to discuss what you need. Do you want to stay in superior first class hotel (5*L), first class hotels (4*), superior tourist class (3*) or do you prefer to stay in " Religious housing " - like a convent ? Please think through this and remember, we are here to help you decide and plan better your Pilgrimage to Italy. All the places we work with have private bathrooms in rooms, so it really comes down to the comfort level you want. Most groups take breakfast and dinner daily. Do you want dinner included every night or do you prefer to give the groups a few nights free to explore restaurants on their own ? No worries, we are totally flexible. How many people do you plan to bring on your Pilgrimage ? Our deluxe busses can hold up to 20-seats, 32-seats and the majority are made out of 50 people. We can base your price on a minimum of 40, 30, 20 paying passengers. Remember a smaller group yields a higher " per person " cost; a larger group yields a lower per person cost. Let us know and we will give you a price with that number of optional tours and excursions, also called free trips. If you want to take 30 people on a Pilgrimage and you need 2 optional excursions based on those 20 paying passengers, we will quote you accordingly ( that really comes down to 1-free-for-10 ). Unlike other companies, we quote you on the number of free trips you really need. Just let us know. Once you have thought through the above items, you will be ready to start planning. Please contact us and we will help you start planning today. We will work up an itinerary and quotation based on your wishes and then submit a formal quotation proposal, including a contract for you to sign. Once you complete the contract and make an initial deposit, we will start planning to print your promotional brochure. 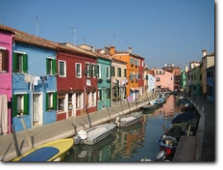 Want to organize a Pilgimage group to Italy? Start planning now to give your parish, school, friends or group plenty of time to prepare! There's still time to plan a 2017 trip! The weather is mostly great (even in the Summer with the Mediterranean breeze) ! 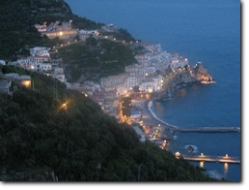 We deal with the Italy Pilgrimages going to: Rome, Vatican, Loreto, Pompeii, Assisi, San Giovanni Rotondo & St. Michael's Cave, Campania, Tuscany, Veneto, Lazio Regions. Read about our tours ! Contact us now and let us set up a trip for you !